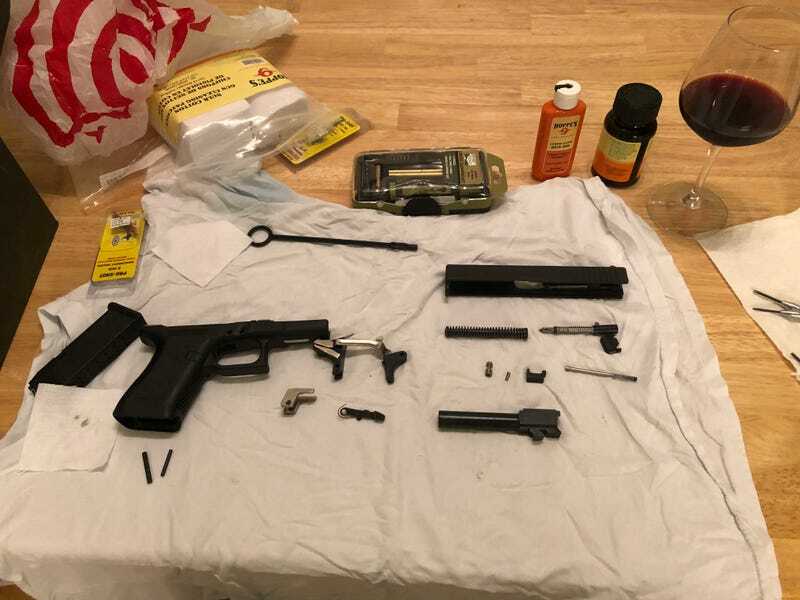 So, I’m cleaning my Glock and drinking wine. I shot it awhile ago for first time since probably 2012. One of my favorite things about this is the fact that it's really easy to take apart.